English is one of the popular languages and most of the Keyboard come with English Layout, this makes typing in other languages tough. Although, we plan to create a similar tool for other languages as well. But we’ve selected Arabic first because we think it has more demand and some of our close friends have requested us to make something like this. We’ve created this tool to solve this particular problem. Make a search query and you’ll find plenty of keyboards which allows you to type in Arabic, but they most of them have intrusive ads, some of them even store the text/message you type, and a lot of them force you to sign up to use their services. By signing up you give them your email which can be used in a lot of ways to market their product or can also be sold to companies which look for it. We believe that typing in a language you like shouldn’t require you to give access to things you might not want to. Hence, the need. Who would be using this? People who have a job which requires them to type in Arabic. Someone who wants to communicate with friends/family in Arabic. Someone who is comfortable using Arabic over English. People who don’t want to install an app or software for typing in Arabic, preferably the ones who prefer using the online Arabic keyboard. Does this Arabic Keyboard store what is typed? Does the user have to pay? No, This Arabic Keyboard is completely free. One doesn’t have to pay anything to type. You don’t pay a single penny to type. However, we may show ads using Google AdSense to people. This is just to buy us Coffee and convert it into code. But if you don’t like them, you can get in touch with us on our feedback page and we’ll work that out as well. Can I download the typing tool? It’s important for people who type in Arabic to want an app to be able to type it on their smartphone. That’s why we made our own Arabic keyboard app. Our app comes with a lot of features such as Material Design, Supports 23 other languages, allows transliteration and has 4 different themes, provides word suggestions and predicts the next word you might type. Install the Best Arabic keyboard for android now! 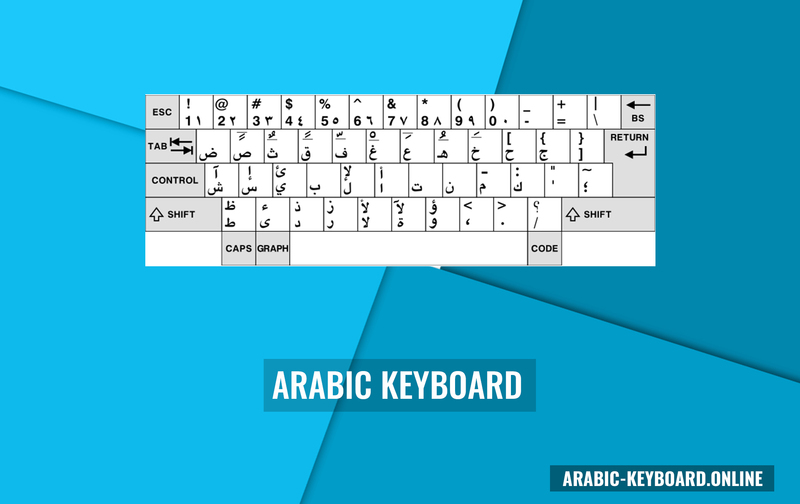 You can use our Arabic Keyboard on your Mac Device. However, if you’re planning to use it offline, it’s currently not possible. That’s why here’s a guide which will help you enable and install the already existing Arabic keyboard on your MacOS devices. Till the time we launch our version on a Mac, you can consider using the pre-installed one for better security. However, we’ve launched a Chrome Extension (described below.) It works offline and works on all platforms including Mac, Windows, Ubuntu and other operating systems where Chrome extension works. In case you’re interested go through the below section and you’ll find more about the extension. A lot of our users have mentioned that a Chrome Extension could be handy while they want to type in Arabic. That’s why I and our team members have started working on it and it should be soon available on the Chrome Extension WebStore. So next time you plan to type in Arabic, you don’t have to open our site, just click on the extension and start typing! Isn’t it going to be cool? We just launched the chrome extension, in case you want to use it, Download the Arabic keyboard chrome extension. Can I use the text typed using this Arabic Keyboard on PhotoShop? Yes, many of our users want to give caption or add Arabic text to their images and videos. Although you can use this keyboard for pasting the text in PhotoShop, but we’ve created a dedicated page to help people in need discover it easily. You can navigate to the linked page or use this one itself. We all want to save time, why not do it here too? One of the best ways to save time while typing is knowing where the letters are placed on the keyboard. Although our tool shows you the placement on screen, but you’ll be using the physical keys to type. That’s why we conducted a research and found that using the stickers on the keyboard could actually help you memorize where the letter is. Once you know where all the letters and signs are who can stop you from typing fast? To make it easier for you, we’ve made a list of some good Arabic keyboard stickers.